The Canadian Rockies aren’t just for seasoned outback adventurers. Wanderers in search of mindfulness on The Great Trail will certainly find it among Alberta’s mountains! Nestled in a pristine valley between the towns of Banff and Canmore, the Goat Creek Trail starts with boasts an easy gravel path, spectacular views and majestic natural beauty – not to mention the incredible Upper Banff Hot Springs! Get to know Alberta’s magnificent landscapes – and yourself – a little better with this one-day itinerary. 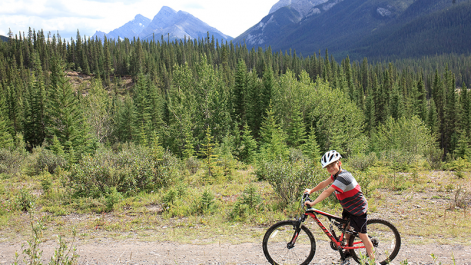 After a hearty breakfast, book a private Bike ‘n Hike shuttle from Canmore Information Centre to Goat Creek. This local service is a stress-free way of bringing your bike to the trailhead, leaving plenty of time to enjoy the trail at your own pace. Make sure to book a return shuttle from Banff back to Canmore for later in the evening. With an easy, downhill ride, the Goat Creek Trail is ideal for amateur cyclists and can be completed in two to three hours. However, make the most of your mindful journey by taking regular breaks for snacks and meditation at some of the Trail section’s many bridges. As your eyes move from the meandering currents of Goat Creek to the horizon, breathe in and marvel at the awe-inspiring peaks of the Rockies. Once you arrive in Downtown Banff, enjoy lunch in a nearby café before locking your bike securely and taking a short ROAM bus ride to Banff Upper Hot Springs. 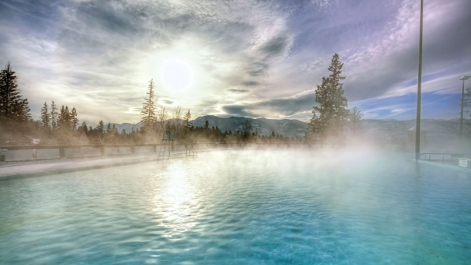 With an elevation of 1,585 metres, Banff Upper Hot Springs are the highest hot springs in Canada. The springs were first used and revered by Indigenous Peoples, who believed the area was sacred. Now, they attract visitors from all over the world who seek spiritual healing and relaxation. Change into your swimsuit and soak in this incredible natural mineral water, letting go of any tension you feel after your morning bike ride. For a more exclusive experience, consider visiting the Willow Stream Spa at Fairmont Banff Springs. 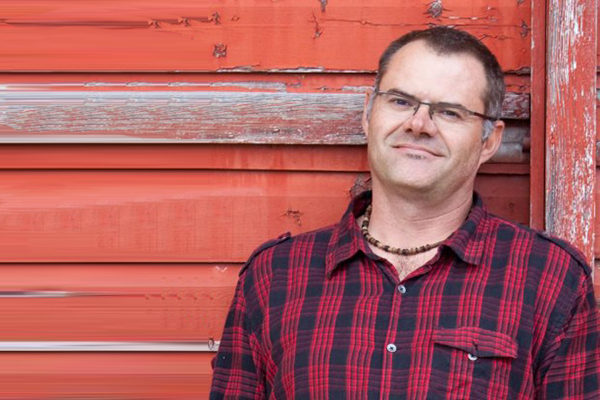 This award-winning spa is a luxurious way to unwind after your Goat Creek cycle. Now that you’re feeling completely soothed, it’s time to return to Banff. Take the ROAM bus back to the town centre, pick up your bike and wander around the pretty streets of this world-renowned resort town. Feeling hungry? Walk to Nourish Bistro on Bear Street and satisfy yourself with a tasty vegetarian meal made with local produce – or even a celebratory cocktail! Meet your private shuttle at Banff Train Station at your pre-arranged time, and travel back to Canmore for a well-earned rest. Your wellness-focused adventure doesn’t have to end once the sun sets. Stoneridge Mountain Resort by CLIQUE in Canmore offers luxury rooms, fine dining and a year-round outdoor heated pool to its guests, in the secluded shade of the Rockies. Fly to Calgary International Airport, where you can hire a car or choose from a range of airport shuttle services. The journey to Canmore takes approximately 90 minutes.